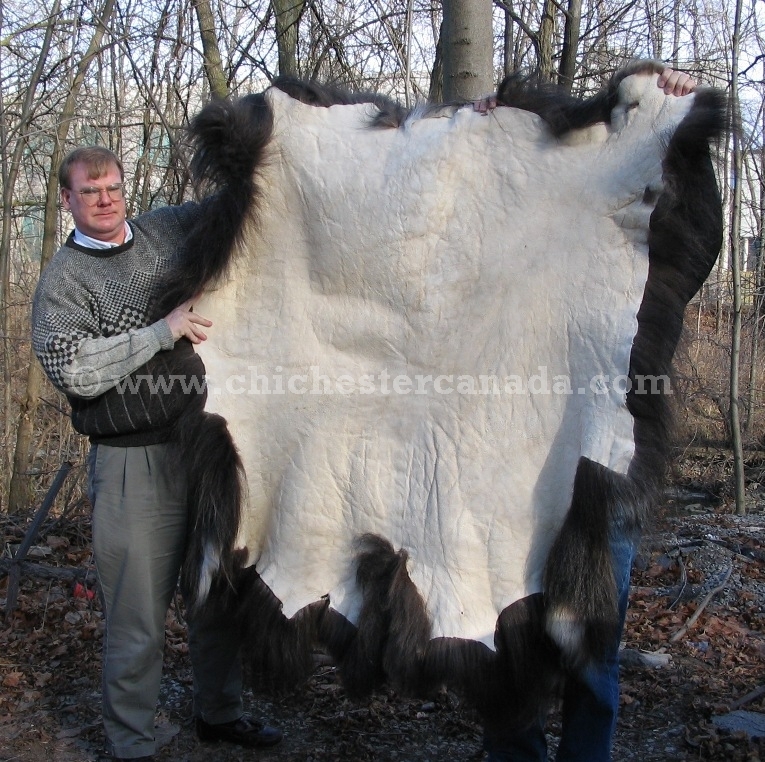 There are only a limited number of tanned musk ox skins available for sale at any time. See muskox skins available for sale in the gallery below. If there are no muskox skins in the gallery below, please call if you are interested. We can get them pretty easily. The skins vary in size. One sample skin was 58" wide and 65" long on the hide side. When viewed from the fur side (i.e., the top), allow another 12-19" of hair extending out on all sides. The skin is a long dense coat of coarse dark brown guard hairs over a paler underfur. 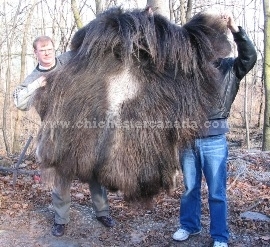 Chichester was the supplier for the musk ox hides used in the movie 10,000 B.C. Muskox are not endangered and are not subject to CITES controls. There are about 100,000 roaming around northern Canada. The musk ox are protected by a quota. Each year, hunters are allowed to hunt about 600 animals, but only take about 400 per year. Many of the animals are eaten and the hide is a by-product of a subsistence life style.